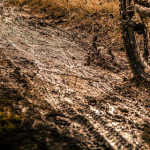 Muddy Trails? Why you really should turn around. 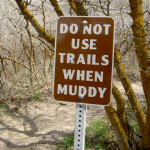 Why should mountain bikers, runners and hikers avoid trails when they are muddy? The main reason is trail damage. 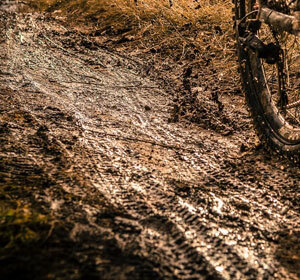 When trails are muddy, they are soft. (This includes the Winter/Spring freeze thaw.) This means that your shoes and tires will dig in and create a rut. We now have a rut cemented into the trail that everybody has to deal with, making the trail less desirable to ride. Now more susceptible to erosion, rain and gravity will wash these loose soils away, leaving a mess of exposed roots, rocks and holes. Not only do ruts effect trail users, but the people who maintain the trail. The majority of trails are maintained by volunteer groups. We owe our good times on the trails to these people. If you are reading this I encourage you to give back, volunteer or donate. Either way, it’s the trail (and eventually your experience on it) that suffers. A trail is a terrible thing to waste! We know that it is tempting to ride/run/walk in the mud. Who doesn’t like to act like a kid and get muddy from head to toe? But think of the people that you are effecting when you damage a wet trail. Do your part, and respect the trail. These are all of our trails, after all. Comments Off on Muddy Trails? Why you really should turn around. Suspendisse tempus sed lorem in accumsan. Aliquam a faucibus lectus. Nulla et ornare mi, at imperdiet leo. Pellentesque non suscipit urna. Ut eget eros blandit mi rhoncus tincidunt. Nulla vitae euismod mi, a sagittis lacus. Vestibulum et purus massa. Pellentesque sit amet est laoreet, scelerisque tortor eu, maximus nibh. Sed vitae venenatis odio. Integer tempor nunc non pharetra euismod. Morbi in metus eu nulla dapibus pulvinar. Vestibulum iaculis odio nec dolor sollicitudin malesuada. Fusce nibh mi, aliquam ac elit in, imperdiet condimentum mi. Suspendisse laoreet pharetra tincidunt. In et molestie orci. Maecenas luctus lobortis enim vitae elementum. Duis ornare sapien ultricies odio consectetur auctor. Nulla laoreet mi eu felis dictum congue. Nulla suscipit quam quis pretium volutpat. Sed sit amet purus quis leo luctus pretium non nec nulla. Etiam non neque sit amet mi posuere iaculis in tincidunt nisl. Vivamus rhoncus quam dolor, quis rutrum velit dapibus at. Donec venenatis, orci a dapibus eleifend, lorem erat viverra quam, eget tincidunt libero purus eget dui. Donec tristique nisi vel lorem posuere, id rutrum tellus sollicitudin. Nunc quis egestas neque. Fusce vel nulla sed justo laoreet pellentesque. Quisque ut auctor nulla. Suspendisse tempus sed lorem in accumsan. Aliquam a faucibus lectus. Nulla et ornare mi, at imperdiet leo. Pellentesque non suscipit urna. Ut eget eros blandit mi rhoncus tincidunt. Nulla vitae euismod mi, a sagittis lacus. Vestibulum et purus massa. Pellentesque sit amet est laoreet, scelerisque tortor eu, maximus nibh. Sed vitae venenatis odio. Integer tempor nunc non pharetra euismod. Morbi in metus eu nulla dapibus pulvinar. Vestibulum iaculis odio nec dolor sollicitudin malesuada. Fusce nibh mi, aliquam ac elit in, imperdiet condimentum mi. Suspendisse laoreet pharetra tincidunt. In et molestie orci. Maecenas luctus lobortis enim vitae elementum. Duis ornare sapien ultricies odio consectetur auctor. Nulla laoreet mi eu felis dictum congue. Nulla suscipit quam quis pretium volutpat. Sed sit amet purus quis leo luctus pretium non nec nulla. Etiam non neque sit amet mi posuere iaculis in tincidunt nisl. Vivamus rhoncus quam dolor, quis rutrum velit dapibus at. Donec venenatis, orci a dapibus eleifend, lorem erat viverra quam, eget tincidunt libero purus eget dui. Donec tristique nisi vel lorem posuere, id rutrum tellus sollicitudin. Nunc quis egestas neque. Fusce vel nulla sed justo laoreet pellentesque. Quisque ut auctor nulla. Not yet a member? 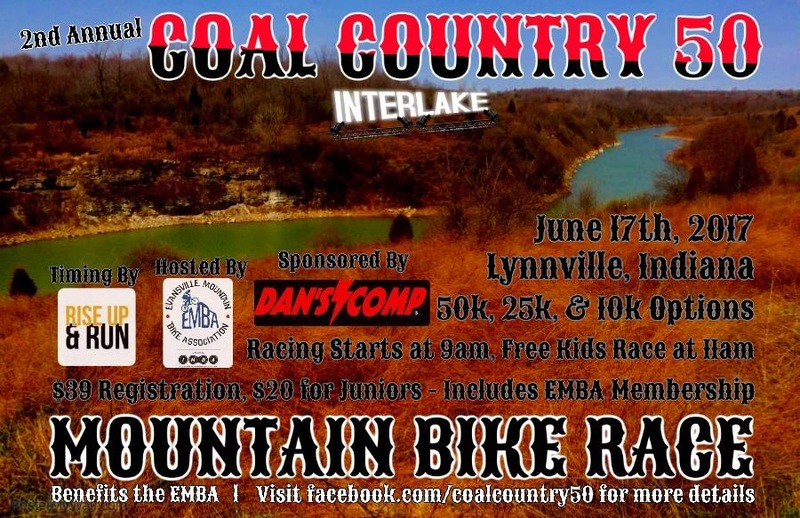 Stay up to date with free email updates from KyMBA and IMBA! Join or Renew your KyMBA/IMBA Membership! Support KyMBA by making a donation! 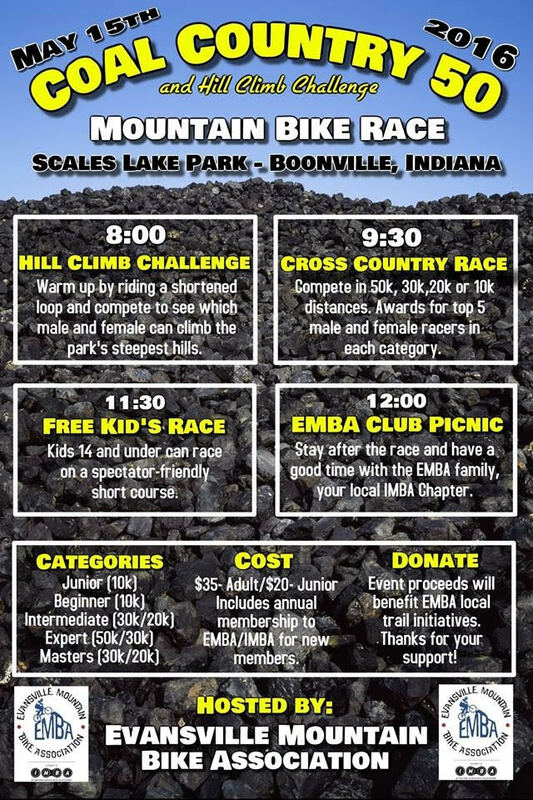 Help us build a great chapter and great trails!